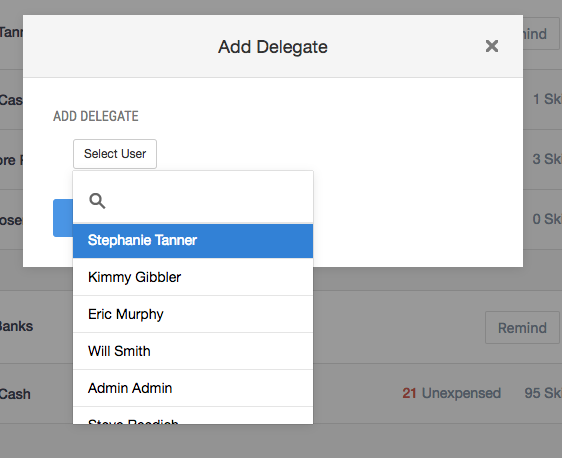 If you have team members who are responsible for submitting corporate card expenses on behalf of others, or if you otherwise have cards that are shared between employees, you can assign a delegate in Abacus! What does this look like for the Delegate? Looks like Hilary already sent in her receipts to receipts@abacus.com, and they've automatically matched with the card transactions - nice! This will pop open the regular expense submission window. You can even choose from the receipts bin of the cardholder! What if I'm already an admin in the account? If you are already an admin, nothing will change for you. 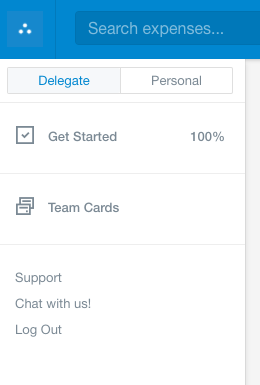 As an admin, you always have the option to expense on behalf of others right from the Team Cards page. 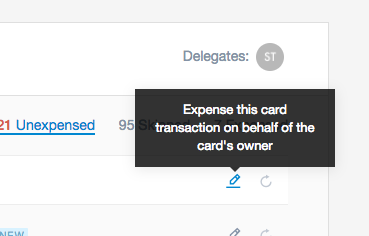 Just expand the list of corporate card transactions, and click expense next to the transactions you'd like to submit.